The Sears Alhambra was a classic foursquare with a splash of mission style added for good measure. Click here to see even more photos of America’s Alhambras. Close-up of the letter written by A. C. Goodall. 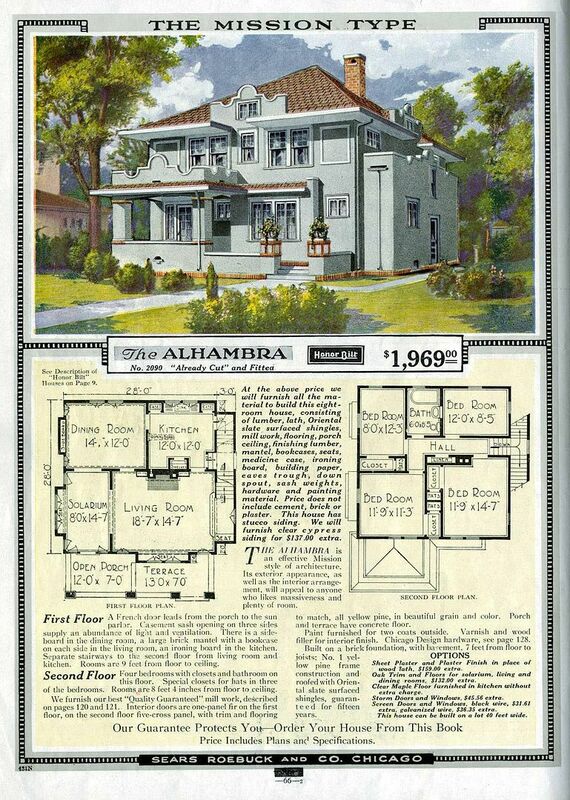 The beautiful Alhambra - as seen in the 1921 Building Materials catalog. Sears Alhambra in Portsmouth, Virginia (my home town). 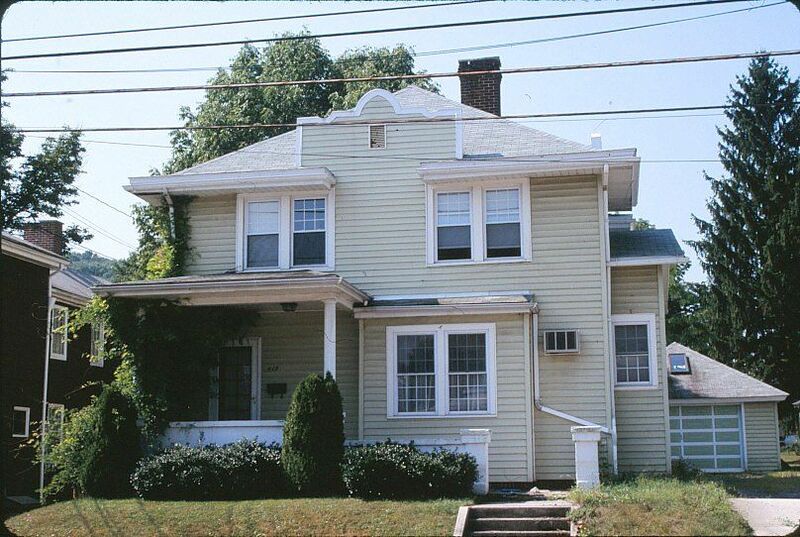 This house is in the 1500-block of County Street, and it's surrounded by blocks and blocks of empty lots, razed during a redevelopment period in Portsmouth's history. I can't help but wonder - how many Sears kit homes now sit in the Suffolk landfill from this neighborhood? 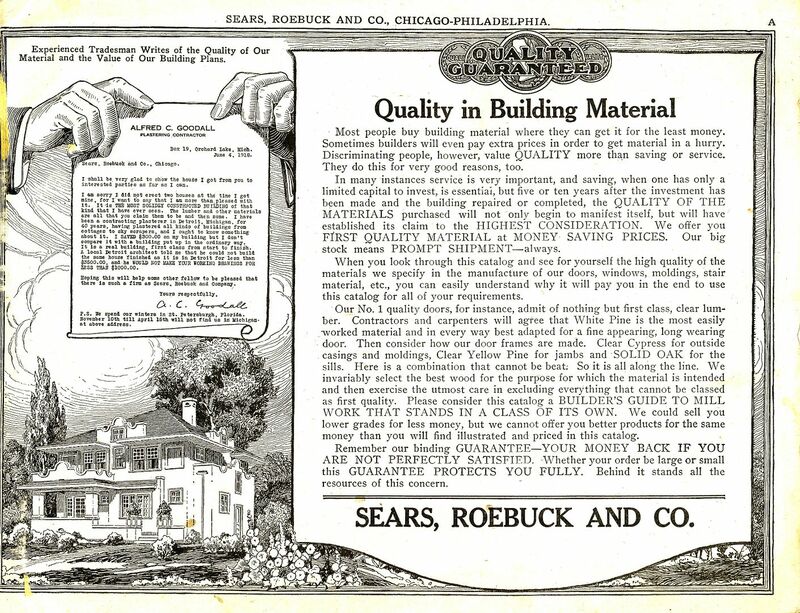 Sears Alhambra as seen in the 1921 Sears Modern Homes catalog. One of the most beautiful Alhambras even seen in captivity! This is in Peotone, IL and the photo is copyright 2010 Dale Wolicki, and may not be used or reproduced without written permission. A real beauty in Bedford, Pennsylvania. 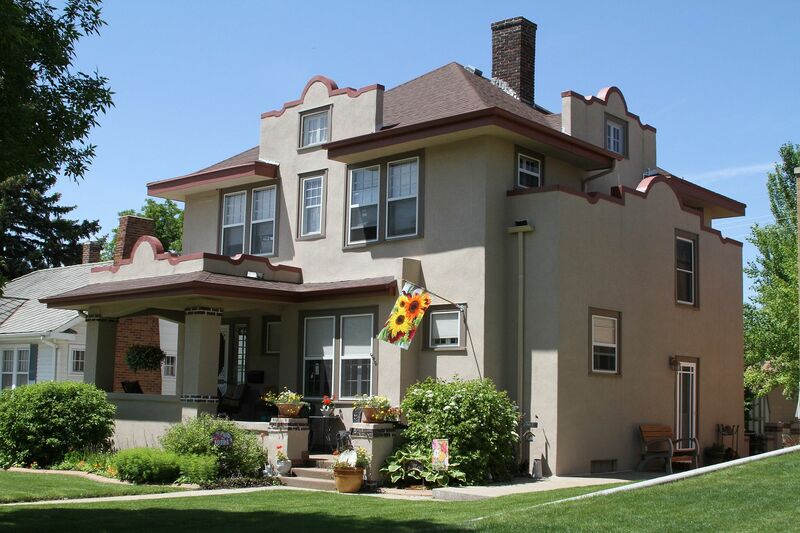 Another beautiful Alhambra in Nebraska. This photo is copyright 2010 Nathan Sonnenchein, and may not be used or reproduced without written permission. Like its cousin in Portsmouth, this Alhambra is also painted a light yellow. 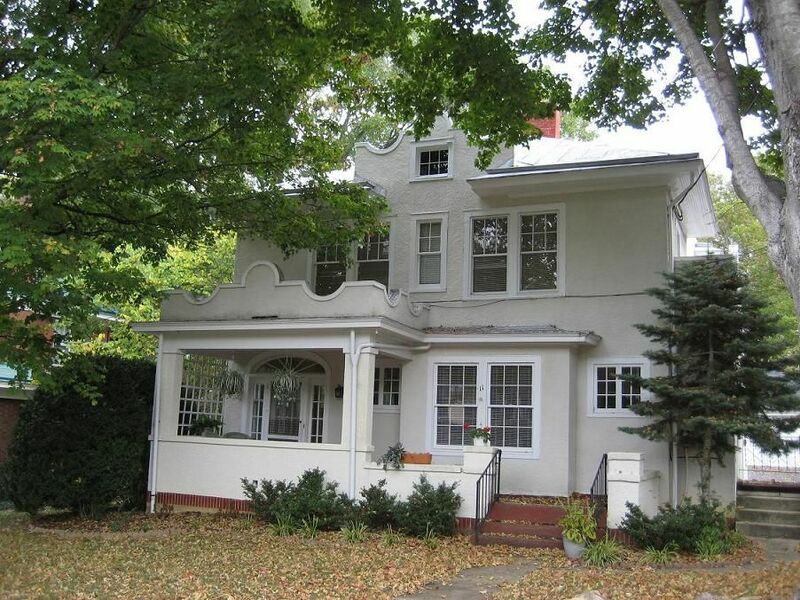 This pretty house is in Lexington, Virginia. Beige seems to be a favorite color for the Alhambra. This is in Raleigh. 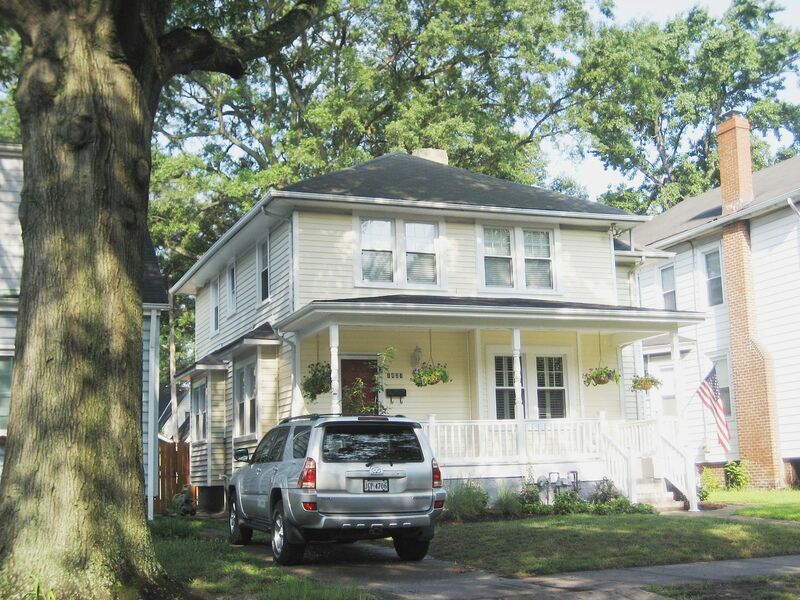 We have four of these houses in West Ghent (Norfolk). I'm confident that they're Alhambras - and the floorplan is a spot-on match - but the spanish extras are not there. Another view of the house in West Ghent. You can see it's got the two bay windows on the side - just like a real Alhambra! There are four of these "plain-Jane Alhambras" in Norfolk. 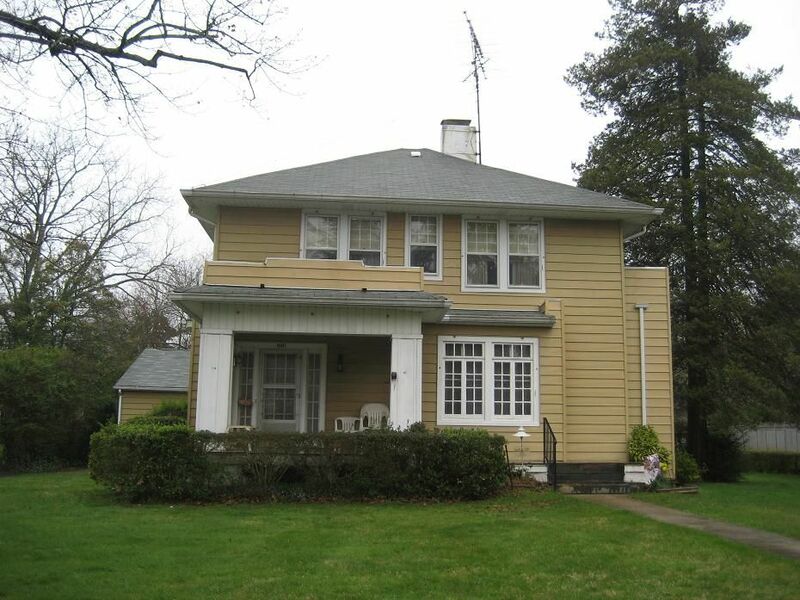 Three are in West Ghent (shown above) and this one is in Ocean View (Norfolk). Note, it's a little different from the three in West Ghent, as it has the porch (covered and open) that matches the traditional Alhambra. This Alhambra has also has also lost some of its unique architectural elements, but you can still see it's an Alhambra! This is in Lynchburg, VA.
Sears Alhambra in Gaffney, SC. My favorite color: Lavender! Alhambra in Portsmouth, Virginia (Cradock). I discovered this Alhambra when an elderly gent attended my lecture in Port Norfolk (Portsmouth). We had four people show up for that lecture, so I was mighty glad when he and his wife appeared, and increased the audience size by 50%! After the talk, he invited me to see this Alhambra, and he had the original blue prints! 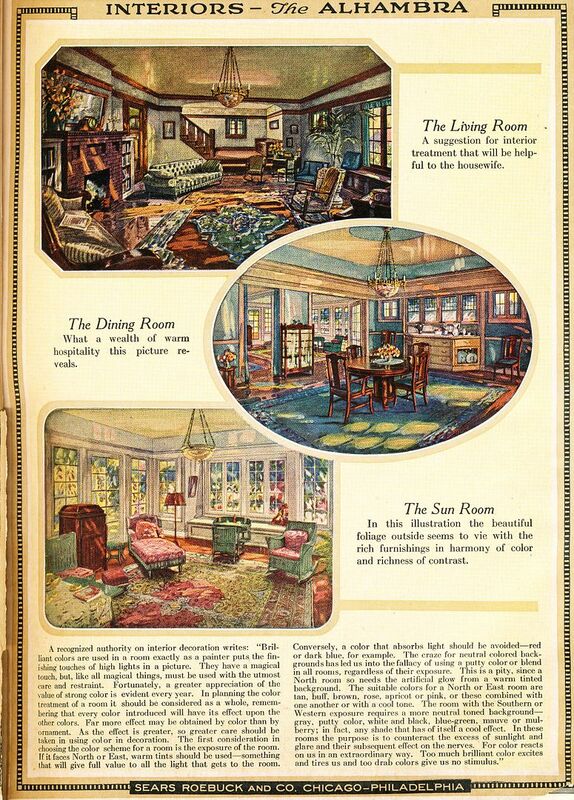 Alhambra Interiors - as seen in the 1921 catalog. Close-up of the Alhambra Living Room. 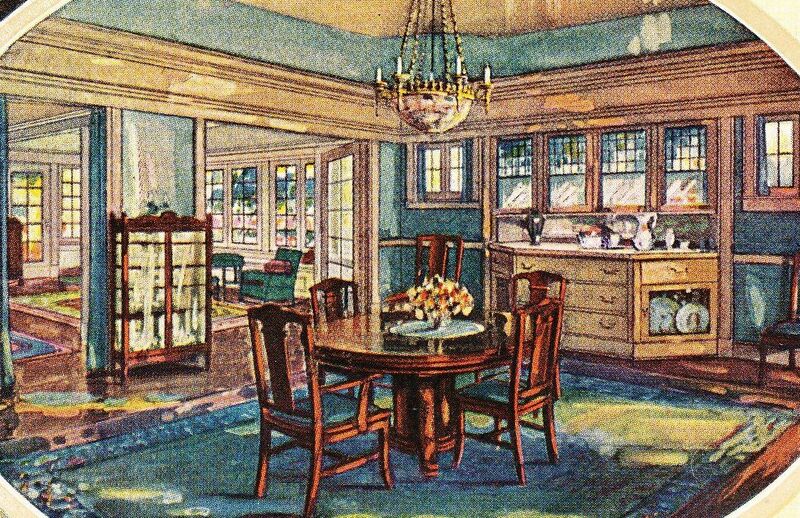 And check out that chandelier in the dining room. 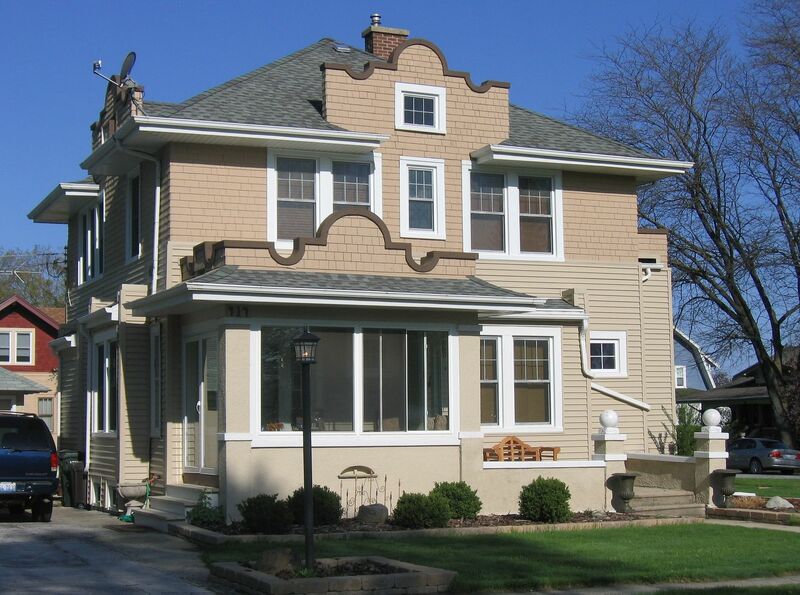 A matching "Alhambra" garage was offered in the late 1910s! To see more pictures of Sears Alhambras, visit All Things Alhambra, part 2. To buy Rose’s book, click here. I grew up in an Alhambra but I didn’t know it was a Sears house until I had moved to the west coast and a subsequent owner let us in on a visit back to town. He had done some restoration and in his research learned it was an Alhambra. It is so fun to see others! I have some old photos of it from when it was new and at intervals through the decades. 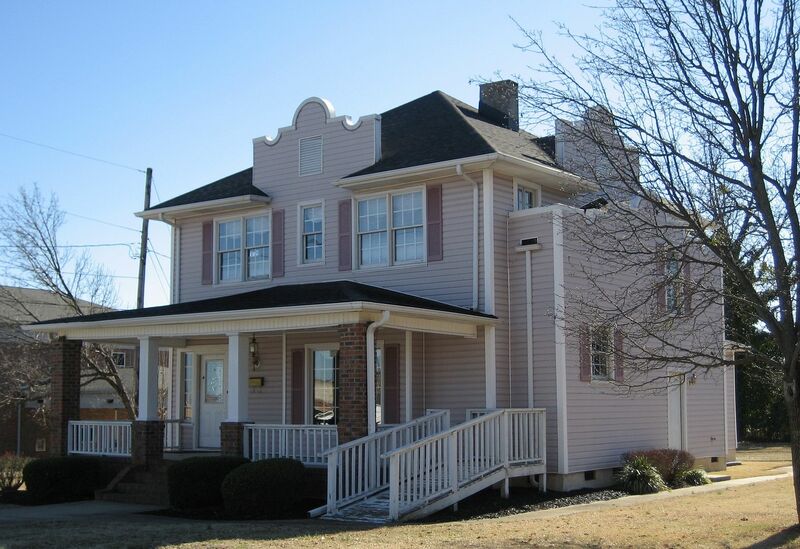 You can see it on Google street view at 52 East Weaver Avenue, Harrisonburg Virginia. There are two well preserved red brick Alhambras here in Macon, GA. I know for a fact that one of them at least still has the original builtins in the living room. My best friend grew up in the last house pictured, I was always jealous of it. It is as stunning inside as it is out. Although the layout is a bit different then the original plans depict. Hi Rosemary, Hadn’t had the privilege of reading this blog. Some great examples of Alhambras. 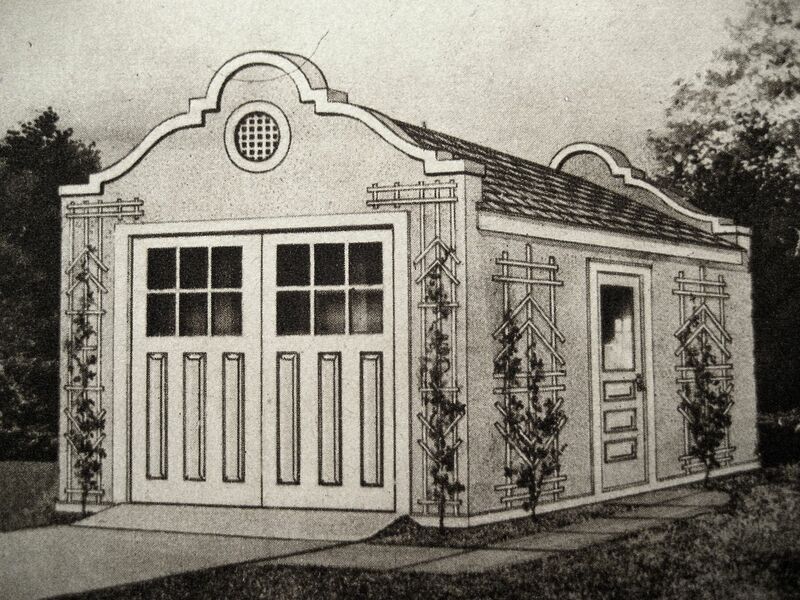 Although Mission Revival in style, I think the little garage you posted was designed to match the Sears Monterey. 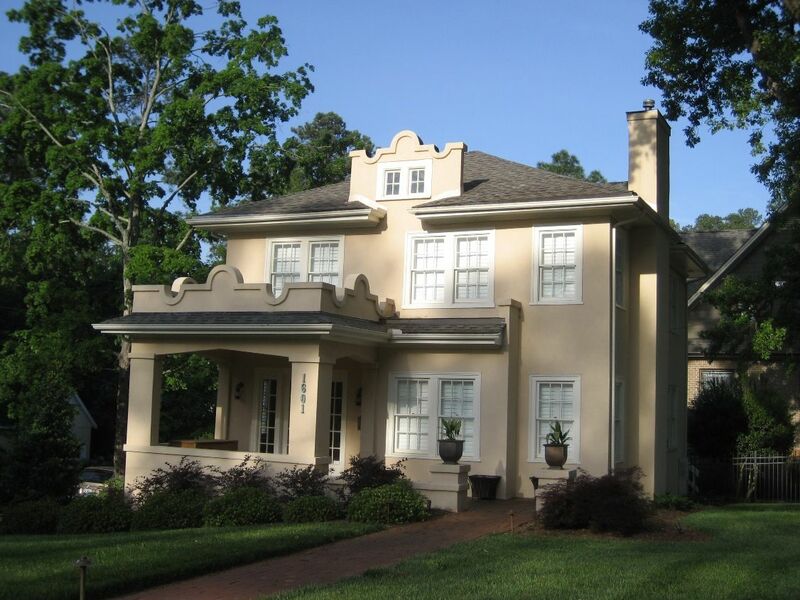 If you look at the Carriage House on our website, http://www.triangleranchbb.com, the parapets are a better match for the Alhambra. 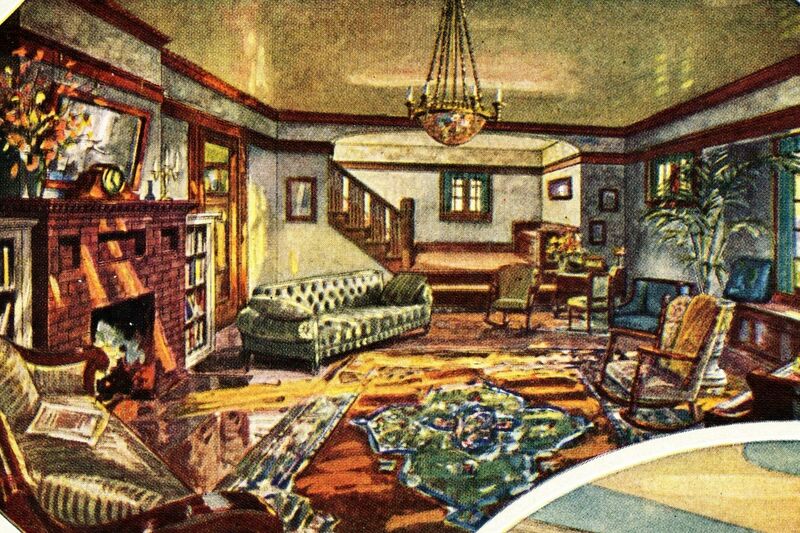 As I have repeated, ad nausium for some I’m sure, everything is original to the blueprints on our property. 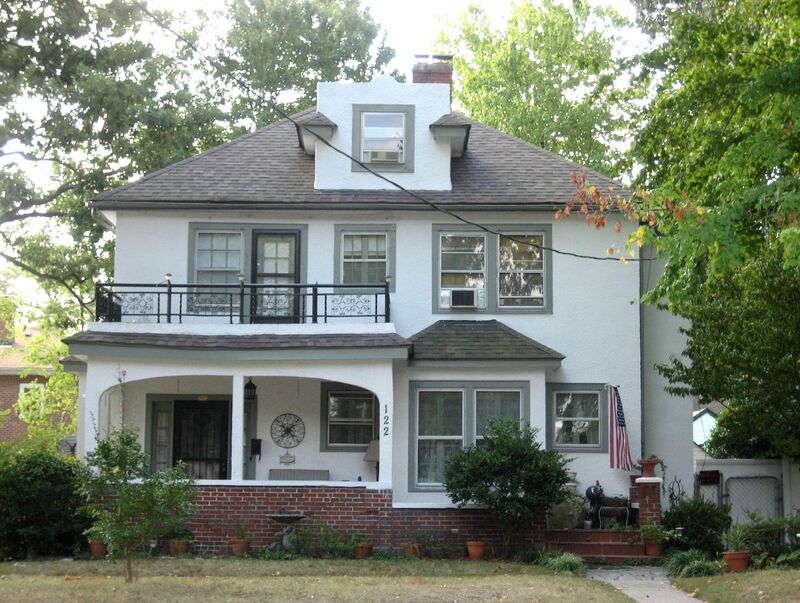 I grew up in an Alhambra house in Webster Groves, Missouri. 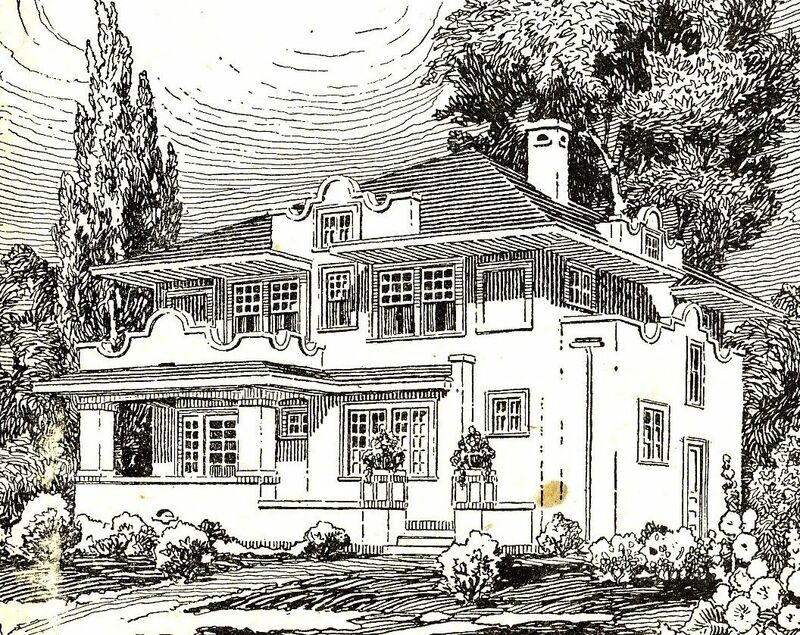 It was located at 331 S. Old Orchard. It had a garage also which was subsequently changed. My husband and I visited a lovely Alahambra standing tall and resplendent in Hampton, VA! It looks the picture of the form with all the mission extras! Please search the local online local realty listings for 76 Cherokee Rd Hampton, VA to enjoy some wonderful interior photos, and do take a drive on a lovely day and photograph it to add to the photos for the site, which we enjoy so very much! PS - I did do a double-take recently when the Ocean View Alahambra was for sale. I couldn’t place it at the time, but I knew by the photos it was something special! 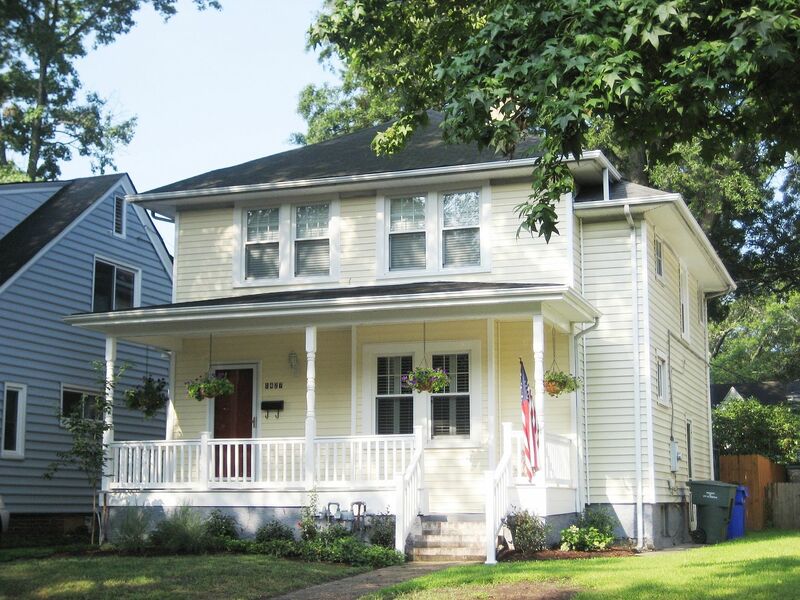 Yes, there’s a lovely Alhambra in Hampton and there are many other kit homes in Hampton. 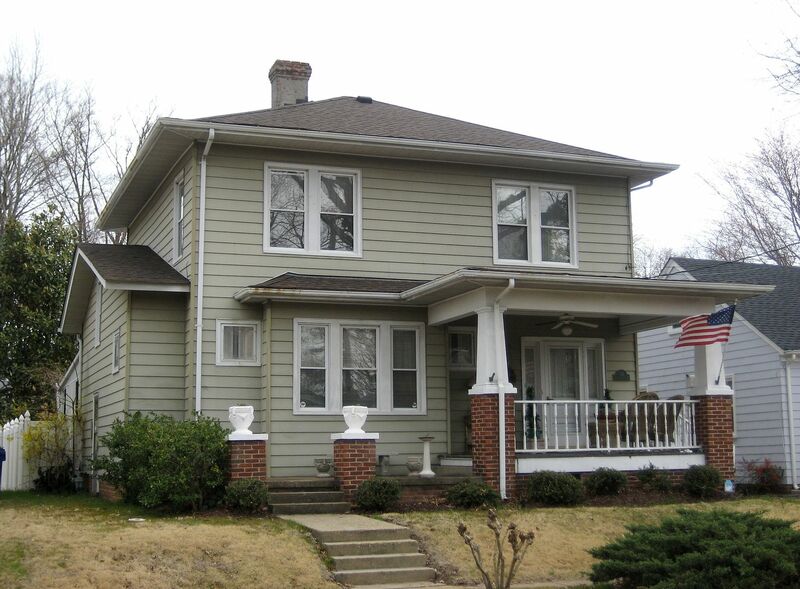 There is currently a Sears Alhambra home for sale in a Pittsburgh suburb…I am in love with it! 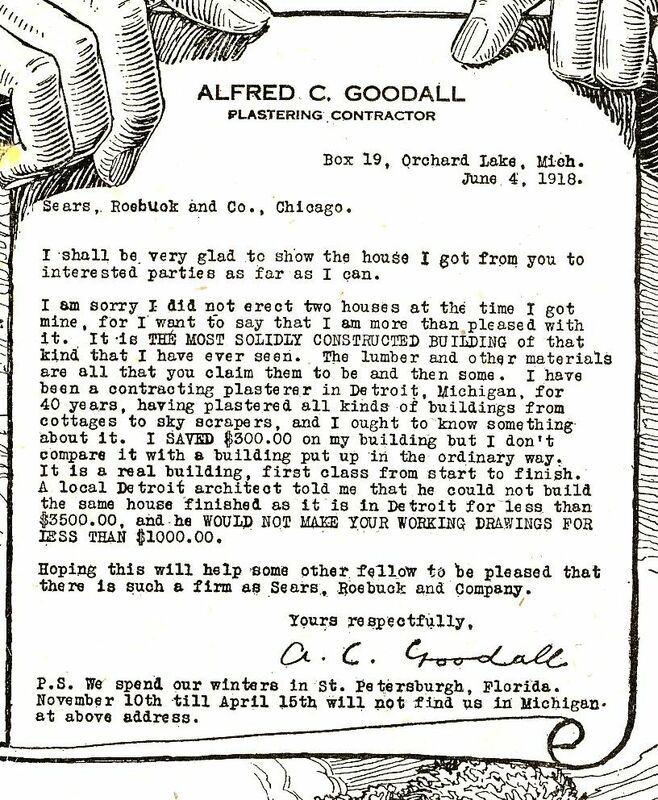 I am interested in seeing the original blueprints for the Alhambra/Monterey. 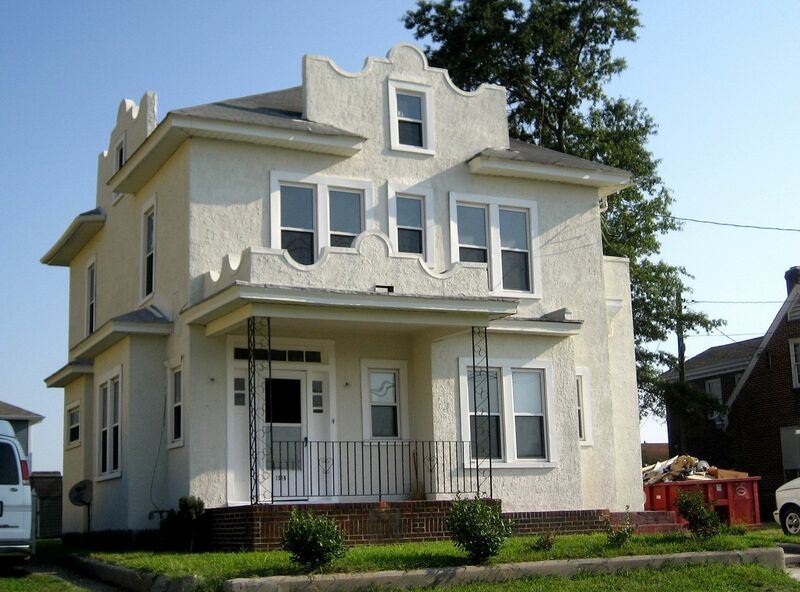 You say that someone with an Alhambra in Portsmouth, Virginia (Cradock) has a copy. How can we see them. Can they be reproduced? The “Boom Towns” of Dupont The Sears Avondale - and There’s One Hiding in Greeley, Colorado!